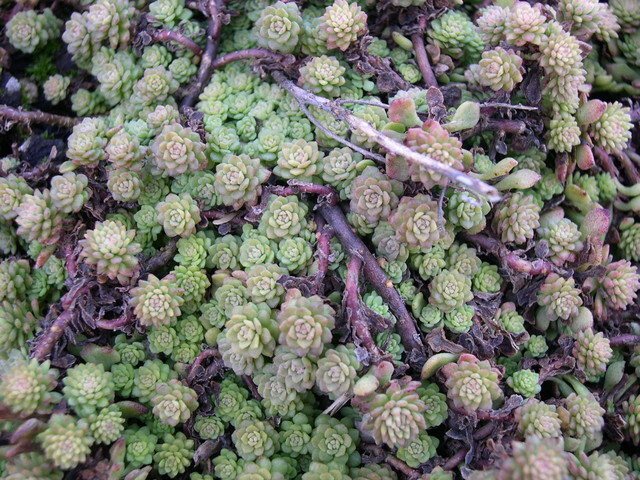 For many years I had this species mislabeled as Sedum nevii. This is a very common mistake. Glaucus rosettes of pale green foliage. White flowers with 4 petals rise above plants on 4 inch stems in early summer. Low growing spreading plants. Protect from extreme heat in summer as well as excess winter wet. Native of the northern Appalachian Mountains in the eastern United States.